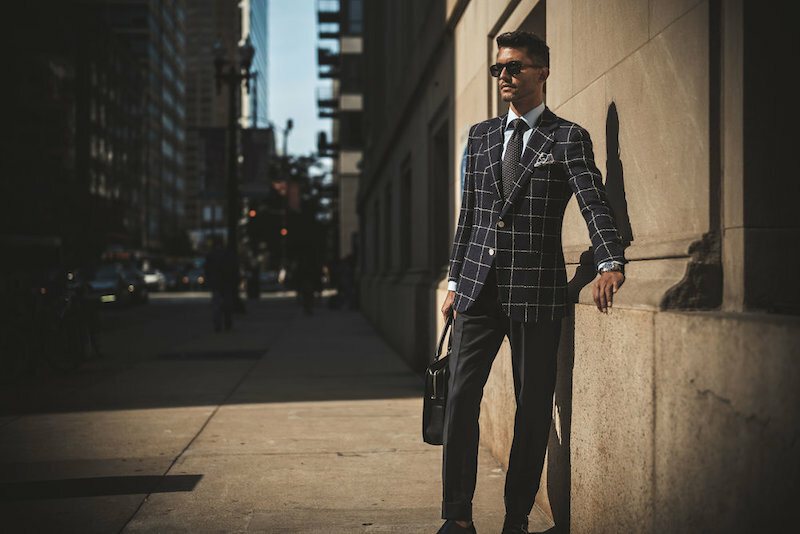 We only source fabrics from the top fabric mills globally, including Loro Piana, Scabal, Holland & Sherry, Dormeuil, Ariston, Reda, Dugdale Bros., Vitale Barberis Canonico and many others. Each suit is cut to your individual pattern to ensure the perfect fit. Our team of pattern makers boasts over 100 years of experience in designing the perfect silhouette for any build. Each and every stitch you see is made by hand. Not only does this create a garment with exquisite details, but also it allows for each garment to have proper give, allowing looser woven fabrics to retain their shape and dexterity. Your garment will be ready in four weeks for all in stock fabrics. Not five, six or eight. No one likes waiting around forever for their garment to be finished. Need it sooner? Please ask us, it may be possible. See how an ESQ suit is made, from start to finish. The best suit you’ll own. 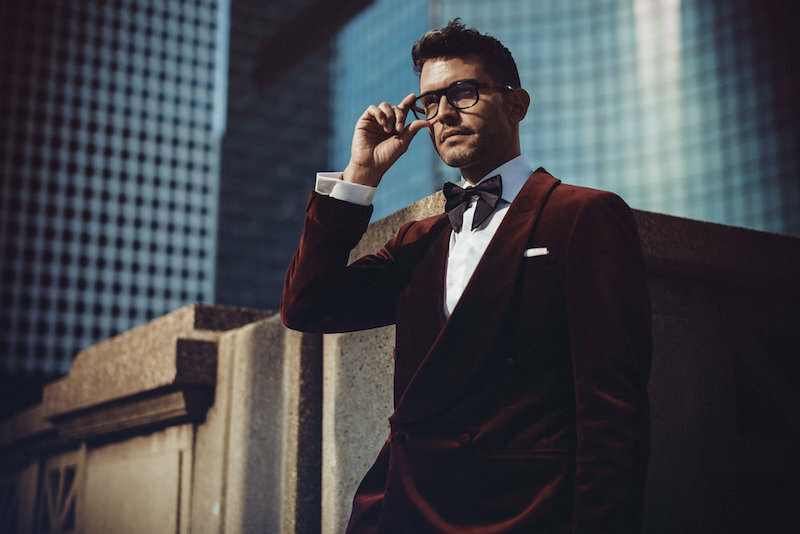 While working countless hours as an attorney, Ge Wang came to the simple realization that he didn’t own a single suit that both fit properly and/or truly felt luxurious. Having tried dozens of brands and tailors, Ge decided Chicago deserved a better custom clothier. ESQ Clothing was founded in 2012 with one simple goal in mind - to make the best custom garments possible. To this day, we here at ESQ Clothing strive to make your perfect garment a reality by crafting traditional handmade tailoring and the finest fabrics in the world.